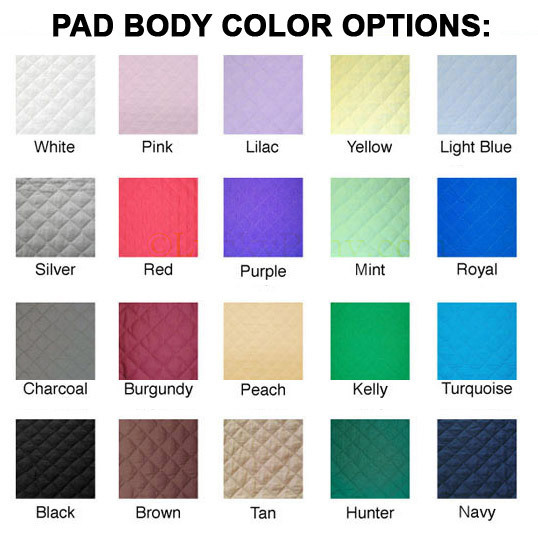 Our bestselling, easy-clean western pad liners, now in your custom colors! 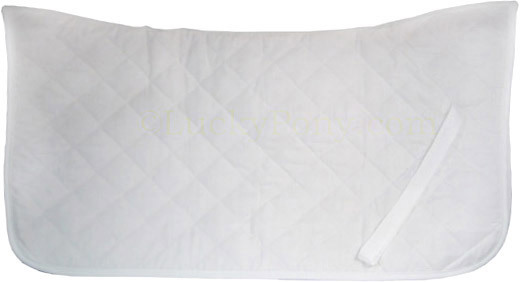 Forget the work of hosing, spaying, or scrubbing heavy western pads- end grimy pads by placing a thin liner under your pad to absorb sweat and work as a barrier to protect your expensive pad from dirt and fur! 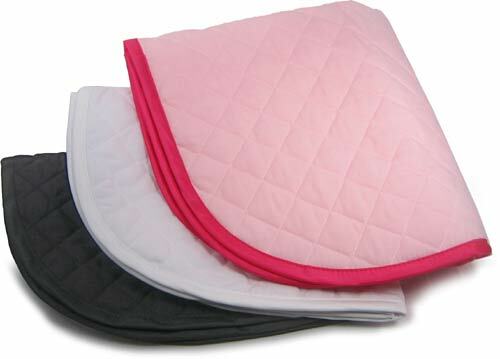 Pad liners will easily wash (3-5 per load) in a standard household washing machine. 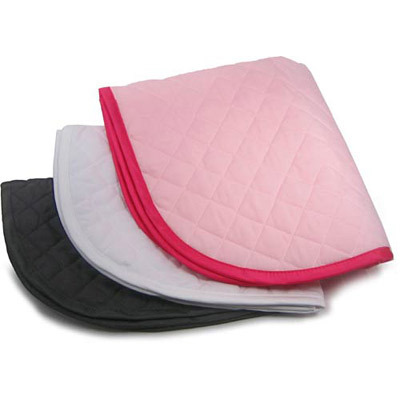 For years, top english barns have used thin & inexpensive saddle pads layered underneath expensive show pads to keep hard to clean pads protected from dirt and sweat - now these same pads are available shaped for western pads! 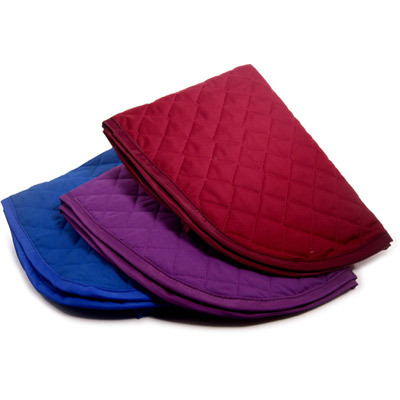 Each pad liner is about 1/4" thick, constructed of cotton broadcloth and is very lightly padded. 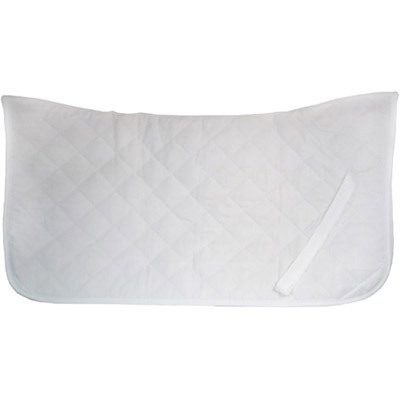 Pad is contoured at the spine in order to fit neatly and comfortably under another pad with little or no shifting. Measures 30" long and 29" wide, unfolded. Choose your body color and binding color. Allow 2 weeks for delivery. Check out our great quantity discounts! 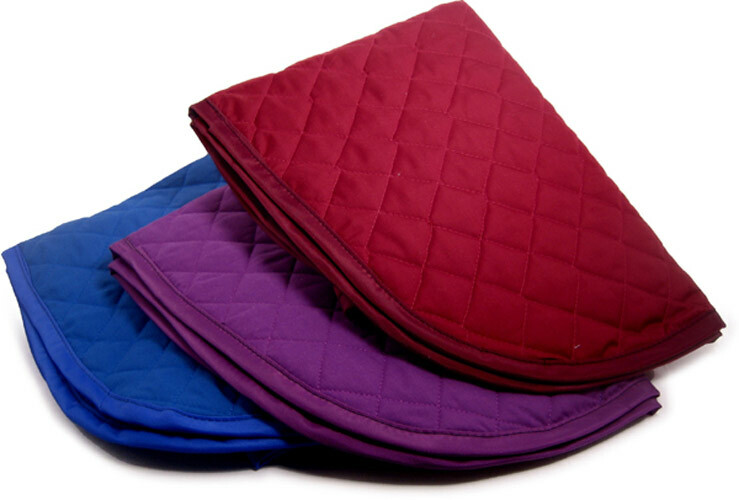 Review Text: The custom colors were exact and I love them. The Velcro straps had been discontinued but once I contacted the company they sent me a new set pronto! Exactly what I had been looking for. Thank you Lucky Pony!! !